This month's YNS DT dare is here and it's a fun one! Popped up is the theme and it could have been anything from foam adhesive to something as elaborate as an explosion box. An explosion box seemed to be what resonated with many on the team and they are spectacular. I decided to get a little tropical and use the new mini drink die and the fun Tropical Island paper collection. Using the Stitched Square Frame die, I cut out the patterned paper to be popped up. 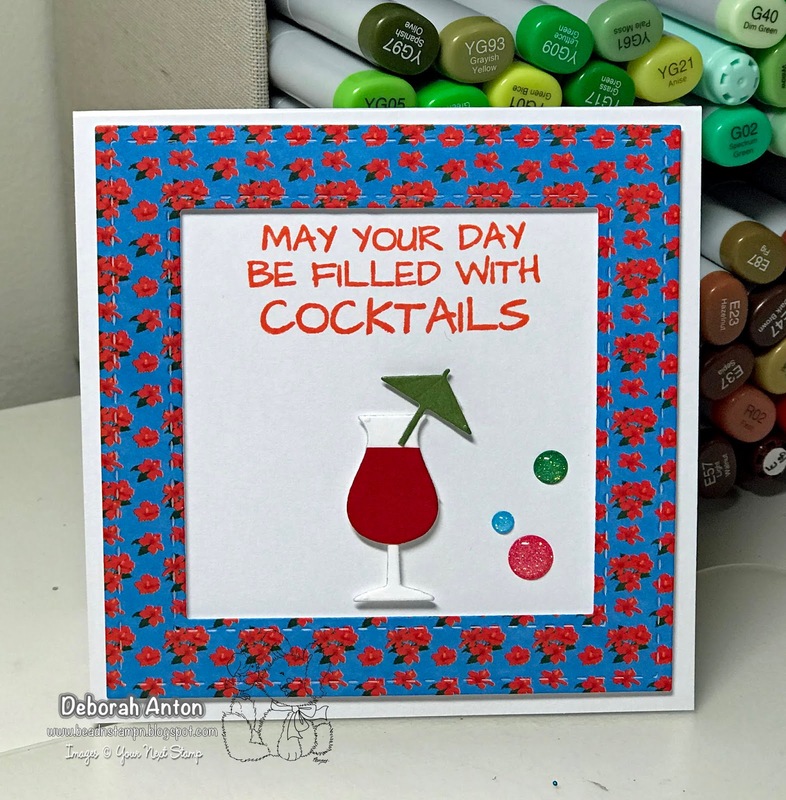 The drink was cut out and popped up while the sentiment was stamped directly onto the card base. The card was completed with some fun Watermelon Party gumdrops. Be sure to stop by the YNS Blog to see all the wonderful creations the team has done. Thanks for stopping by and hope you have a great week! Love your card and I like how you did the stitching too! Awesome card!